We loved getting to spend time with Roseann + Paul at their recent engagement session at Fort De Soto in St. Petersburg recently. 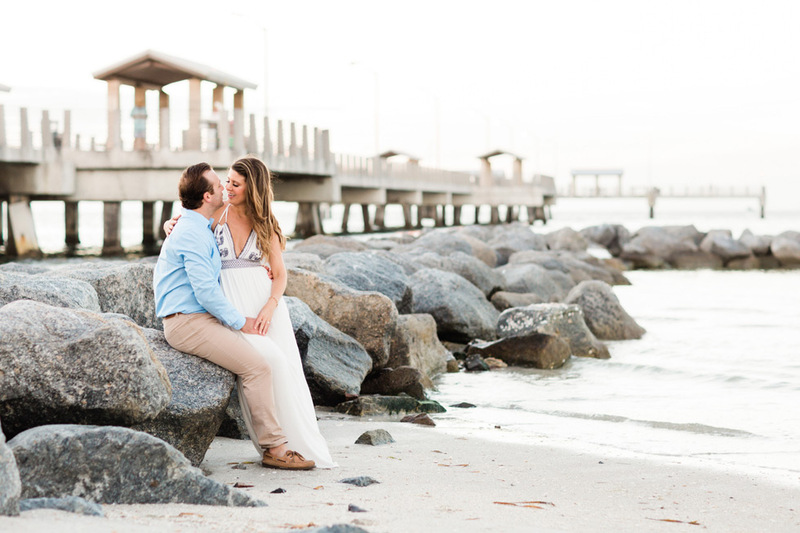 This sweet couple is planning to get married next year at the amazing Don CeSar in St. Pete Beach, and we can’t wait to celebrate with them there! They met up recently with our Master Photographer Amy for an engagement session at Fort De Soto Beach, and we love all the amazing pictures that Amy captured of them! These two look so totally happy and in love, and we’re excited to share a few of our favorites from their session here! We love the romantic look of these photos of Roseann + Paul together – that gorgeous sunset light in the background is to die for! How stunning is this amazing silhouette of Roseann + Paul? We love it! We absolutely love Roseann’s expression in these photos as she looks up towards Paul. So much love and romance!